Technical Questions? Demo Request? Just Ask! WinguMD’s photos can be size and contrast calibrated, accurately tracking a patient’s condition from day to day, empowering clinical work and academic research. Integrating with your organization’s imaging workflow, the resulting calibrated image data can be stored on PACS or VNA via DICOM, and on EHR media storage—fully associated with patient demographics and study information. 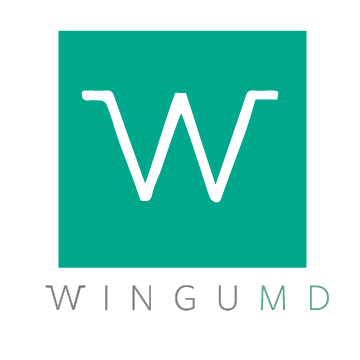 WinguMD services are configured on our HIPAA compliant Microsoft Azure cloud infrastructure with a VPN connection from your network, or as a on-premise service within your IT infrastructure. Our services are monitored remotely, minimizing your IT resource needs and easily administered with just a web browser. All support activities and change management are tracked with the secure web using the Atlassian JIRA Support Ticketing platform. We establish a BAA with every enterprise customer. Our system is designed to meet HIPAA and HITECH security requirements. Data are sandboxed and encrypted on devices at all times, transmitted over encrypted transport, processed on encrypted servers and stored on encrypted storage systems within HIPAA certified Microsoft Azure facilities located within the USA, or your choice of geographical regions. Access and change audit logs are available via the proven SQL access or accessible via our web-based admin console. ZenSnapMD provides industry leading integration capabilities with DICOM, FHIR, HL7, BOX — maintaining your clinical data integrity and promoting efficient workflow. Use optional MDMs such as MobileIron or Airwatch, and Microsoft Active Directory Single Sign-On (SSO) to facilitate user on/off boarding. For more complex DICOM/HL7 routing scenarios with EPIC, Cerner and PACS IHE integrations, you can utilize DICOM System's Unifier available either as on-prem or Google Cloud Platform deployments. Samsung Galaxy Notes, Nexus Pads/Equiv. We can install exactly what we deploy on our Azure cloud within your premise.